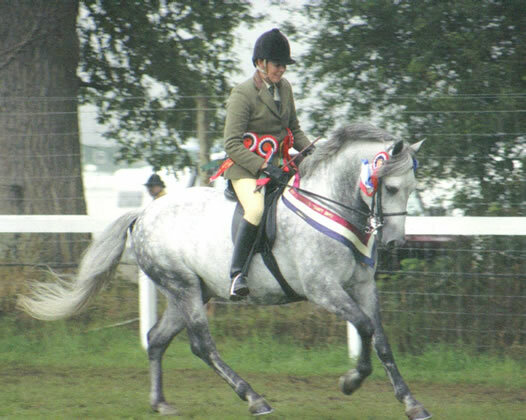 A double bridle is recommended as correct dress, but a snaffle is permitted in Novice classes, according to the British Show Hack, Cob and Riding Horse Association. The straps of the bridle should be wide and plain to show the width and strength of the face to its full extent. A wider cheekpiece is often appropriate, up to ¾ inch. A wide plain noseband and browband will complement a strong head. The weymouth and bridoon bits should be wide enough for the mouth; cobs often have wide mouths so it is esssential that the bit is wide enough. Avoid selecting a bit with a longer shank simply because it is wider in the mouth. The hunter should not be ridden with a strong reliance on the curb, as it does not show great obedience. 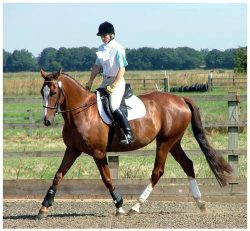 The working hunter horse should be obedient and sensible in the snaffle before a double bridle is used. Avoid over-using the curb with a short, thick necked horse as it will quickly become overbent and can affect its breathing.